No matter what your current fitness level, it’s never too late to start moving and become more physically active. If you’re already active, keep it up; if you’re not, start now. Research shows that there are significant health benefits even in progressing from no physical activity to a little activity. 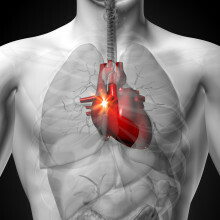 Tightness in Chest: Does It Always Signal a Heart Attack? There’s a good reason why high blood pressure is called the “silent killer.” Yet, while hypertension remains insidious, it is stealthily damaging your arteries, and also the organs and other tissues that rely on the blood that these vessels deliver to them.